Don’t forget to register for the Mom’s and Pop’s Tournament, March 28-April 1. Click here for the registration form, due March 20. Donations and reservations for Puttin’ On The Ritz, St. Peter’s 2017 Auction, are due this week. Please click here to see the auction page to reserve your place online, make a donation or buy a swell official auction t-shirt! It’s “Everything 80’s…and Then Some” at St. Peter’s Trivia Night 2017, scheduled for Friday, January 27. Doors open at 6:30, play begins at 7:15. Get your 8 person team together and register by January 23. Click here for a registration form, and contact Andrew LeRoy if you have questions. Party on! St. Peter’s VIPs, please join the 8th graders this Sunday, November 27, at 12:30 p.m. for an afternoon of Bingo in the main room, lower level of the Church. It’s All You Can Play for $5, and hot dogs, drinks and dessert will be served. Proceeds benefit St. Peter’s Social Services for utility assistance this Winter. Our “Safe To School” parking lot is complete and our official dedication and ribbon-cutting will be Sunday, November 27 after the 11 a.m. Mass. 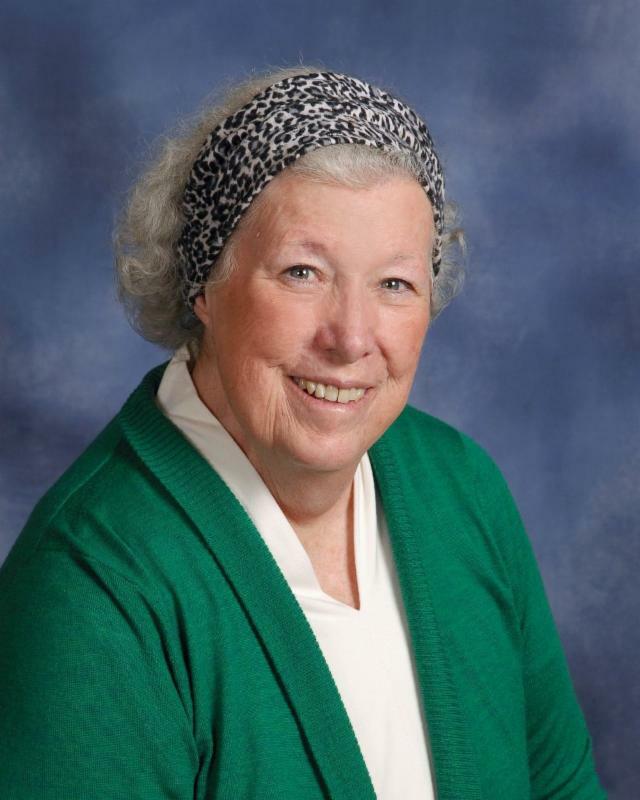 The new circle drive will be dedicated to Sally Euston, our beloved, long-time parish secretary and fellow parishioner who passed away in July. Sally Eagan Euston Memorial Drive will stand as a welcoming gateway to our campus, just as Sally was the welcoming face of St. Peter’s School for so many years. Our Knights of Columbus will roast hot dogs for all–Please join us! 2. Do it on a bike. It’s a food drive on 2 wheels, with all food collected going to St. Peter’s Food Pantry. Part bike ride, part food drive, part scavenger hunt, and all fun. Adult and kids divisions. Click here for more information or check out the Facebook page Cranksgiving KC. Kidz Cranksgiving riders must submit Registration and Parental Permission Form to Dan Needham by Wednesday, November 16. Want to help with the event? Volunteer here.